Beauty Becky: Liebster Blog Award! The lovely Sophie from Beautyaddict1997 awarded me the Liebster Award which is so kind of her! I have seen quite a few of these posts around and think it is a lovely idea and way to see which blogs others enjoy reading and finding new blogs to read yourself! 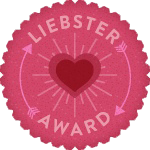 The Liebster Blog Award is awarded to upcoming bloggers with 200 followers or less which is such a sweet idea! 2. Answer the questions the tagger has set for you, plus create 11 questions to be answered by the people you have tagged. 3. Choose 11 bloggers and link them in your post. 4. Go on their page and tell them you have awarded them the award. 1. I am studying my A-Levels at College. 2. When I have finished college I would like to do a professional make up course and then either work on a make up counter or as a freelance make up artist. 3. In case you haven't noticed, I love make up! I have a couple of drawers full of it in my dressing table! 4. When I was younger my favourite colour was yellow - I had yellow bedroom walls and I wanted matching yellow carpet! 5. I love tomato ketchup way too much. 6. I love the colour rose gold! It is so beautiful. 7. My birthday is coming up and I wrote my birthday list about 6 months ago. 8. My favourite candles are Yankee candles - I burn them a lot in the winter time! 9. I am a very positive person and am constantly told how smiley and happy I am! :) <-- that's me, smiling! 10. I rarely ever tan or burn so am on the hunt for the perfect fake tan! I don't dislike being pale, but sometimes in the Summer a little tan is nice! 11. I have been watching youtube videos and reading blogs for about 5 years or more! 1. If you had the chance to go anywhere/ do anything what would it be? I would love to travel around Italy, the USA and go the Grand Canyon. I really want to go the Grand Canyon! My favourite food is pasta! 4. If you had to choose a famous person to be your role model who would it be and why? I was reading Rosie Huntington-Whiteley's interview in September Elle and I think she is amazing! I think she is a great role model and I would recommend reading her interview in Elle if you haven't already! 5. How long have you been doing your blog? I started Beauty Becky at the end of March 2012 so just over 4 months! 6. What is one product you couldn't live without? Probably foundation. I will happily go out the house make up free if I have to but foundation just makes my skin look so healthy, fresh and even. I only wear a light coverage foundation and that's perfect for me! I love logging into Blogger to find I have a new follower or new comment on a post! I like knowing that people enjoy reading my blog and find it helpful. The comments are my favourite though - being able to communicate with people that love beauty like me and reading so many lovely comments make me so happy! 8. What goal do you want to achieve with your blog in the next 6 months? I am just going to carry on writing blog posts and hope people like reading them and find them useful! I have found so many amazing blogs and met some lovely bloggers in the last few months so I hope I carry on meeting lovely people. The blogging community is amazing and I hope in the next 6 months I meet more bloggers and keep chatting to the ones I have met already! 9. What are your top 5 beauty products? My top five beauty products are foundation, mascara, hair oil, perfume and nail polish! 10. What do you look for in a foundation? I like a foundation that is very natural and light/medium coverage. I like it to make my skin look natural, healthy and radiant! I also don't like foundations that feel heavy so a light weight foundation is ideal! 11. If you had your own makeup line what would you call it? Beauty Becky - I'm very inventive here! 2. What is your favourite haircare brand and why? 3. Do you prefer long or short hair on yourself? 4. What is your favourite nail polish colour? 5. Tinted moisturiser or foundation and why? 6. Where would you like to live if you could live anywhere in the world? 7. High end or drugstore/high street make up? 8. If you could have any hair colour, which colour would you choose? 9. How long ago did you start your blog? 10. How long have you been reading beauty blogs? 11. Would you rather create your own fashion line or make up brand? This is who I tag! If you haven't already I would recommend checking out all these girls blogs - they are lovely! hey congrats on the award....i recently got it too...took me absolutely ages to write the post!!! It's always nice to read something about the person behind the blog! I am in love with rose gold right now too! I'd love to get one of the MK rose gold watches - they are so pretty!